Do your shopping at Central Festival Phuket and Karon Temple Market. Discover out-of-the-way places like Kamala Beach and Andys Scuba Diving Phuket. 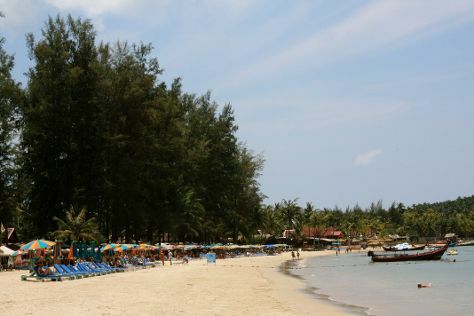 There's still lots to do: stroll through Bang Tao Beach, enjoy the sand and surf at Laem Sing Beach, stop by P & C Jewelry, and see some colorful creatures with a scuba or snorkeling tour. For traveler tips, reviews, ratings, and tourist information, go to the Patong travel itinerary creator. London, UK to Patong is an approximately 21-hour flight. Due to the time zone difference, you'll lose 7 hours traveling from London to Patong. In January, Patong is much hotter than London - with highs of 37°C and lows of 26°C. Wrap up your sightseeing on the 12th (Thu) to allow time to travel back home.